When we had the opportunity to chat with Jackie and Chance about their wedding about a week before their ceremony, we asked them what they wanted to remember the most about their wedding. Jackie told us how much she was looking forward to their open-air dinner at sunset during their reception where they could sit at banquet tables with all of their family and friends. Chance mentioned how he looked forward to their first look-- a private moment to see each other before the ceremony. Jackie also told us that her father would be singing the song that she and her groom would be dancing to for their first dance. To me, that is the kind of expression of love that spans so many tender years--the same man who raised her and sang her to sleep as a baby would now be not only walking her down the aisle, but also singing his blessing over her marriage as Jackie and Chance danced together for the first time as husband and wife! 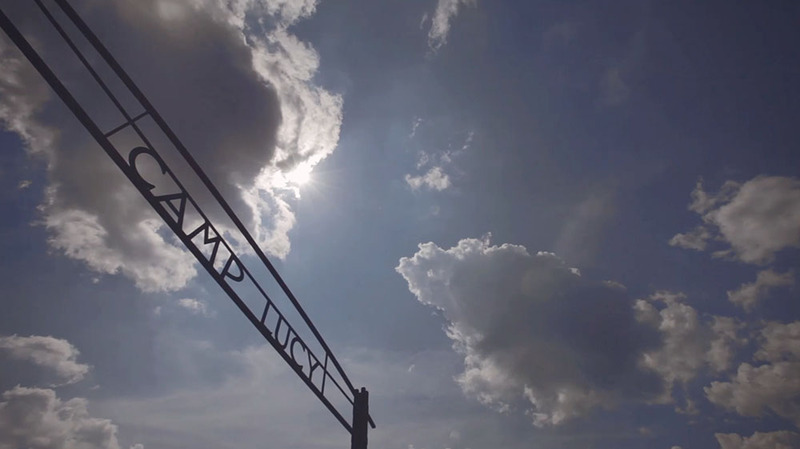 When we arrived at the wedding early in the afternoon, Camp Lucy was filled with warm sunshine. A perfect destination wedding spot nestled in the hill country just outside of Austin, Camp Lucy has been drawing Austinites and many others out to its grounds with its gorgeous architecture and naturally succulent landscaping. Driving through the Texas Hill Country, you'll pull in through custom cut iron gates, and drive over an Austin favorite, the winding little Onion Creek. The actual event venue rests at the top of a hill above the creek. It contains two amazing spaces--Ian's Chapel--a luminous restored French Colonial chapel, and a majestic event hall called Sacred Oaks--named for its arches made of natural branch. Jackie's not only sweet, but she's absolutely gorgeous! Her hair, worn in natural curly waves, was perfectly styled by Sandra Mata--and it looked perfect all day long! Cristina Wisner, the photographer, was such a pleasure to work with--she kept everyone smiling and laughing during portraits. Jackie and Chance's sunset banquet dinner catered by Royal Fig Catering was held in this dramatic, open pavilion made of ironwood timbers. 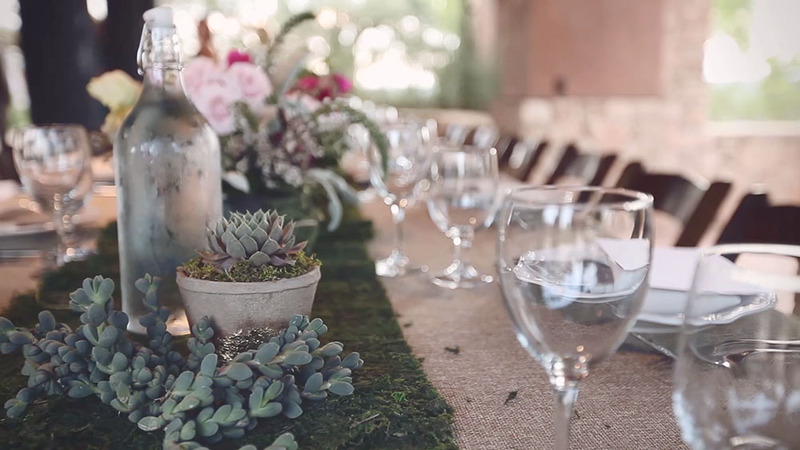 These gorgeous succulent florals were designed by Rosehip Flora. The texture combination was just stunning in the evening sunlight. The event planners at Three Apples Events kept the party going late into the night with continual fun surprises--like a s'mores bar & these glow-in-the-dark necklaces that inspired a lot of dancing--and for these girls, it inspired a lot of creativity! This ombre cake with white and pink ruffles was a perfect complement to the skirt on Jackie's wedding dress. Gorgeous! As we listened to stories about Chance and Jackie, their passion and drive in life was obvious from how people described how hard they both worked in law school to succeed. However, as we watched them dance with each other during the reception, and heard their sweet letters that they gave to each other just before the ceremony, we have to say that their passion for each other has brought them success in love, too. Congratulations to a wonderful couple and to a newly united family!